Yay! 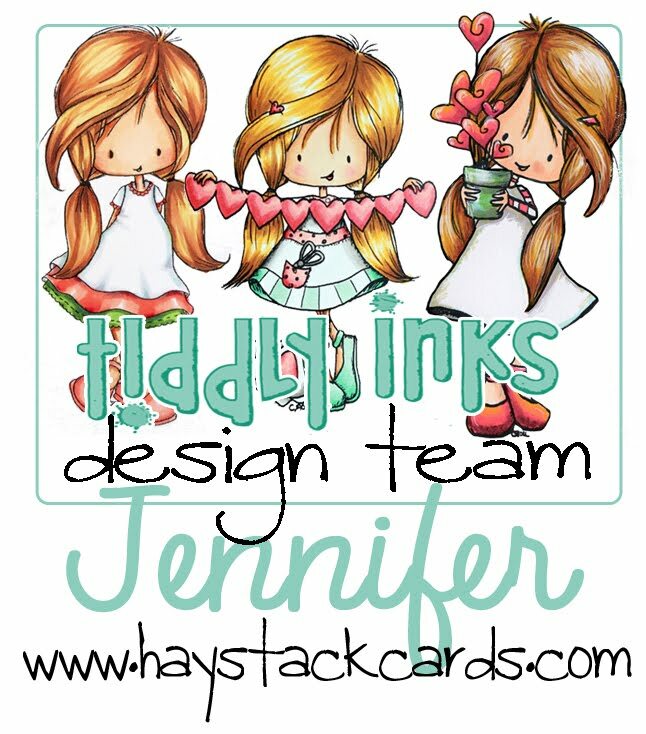 It's finally Friday which means the design team and I have some fabulous inspiration to get your creative mojo flowing this weekend over on the Tiddly Inks Challenge Blog! 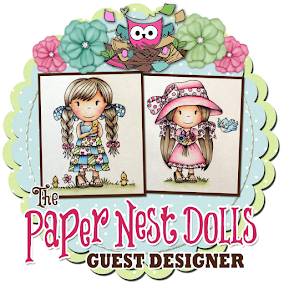 My make for today is a card that I created for an upcoming birthday party. I used the Wryn - Eat More Cake digital stamp and colored her up with Copics. I simply couldn't resist creating the polka dot background with a stencil and some of my favorite distress inks. A happy birthday sentiment from the Verve Treasured Words stamp set and a handful of sequins coated in glossy accents finish off the card. For the Verve challenge, I was inspired by the circular wreath to create the polka dot background. I also used Night of Navy ink for the Verve sentiment and Chipped Sapphire distress ink on the polka dots. A few navy sequins were thrown in for good measure. If you would like to see the pin that also inspired my layout, click here. So lovely! And the background is ah-maze-ing! Beautiful card and beautiful coloring...Thanks for joining us over at DoubleClick Skittles Challenge! Thanks for joining our “Polka Dots/Circles” Challenge this week at DoubleClick Skittles. This is fantastic. You get such a great effect on that background. I love your coloring. Thanks for sharing it with us in the polka dot/circles challenge at DoubleClick Skittles. Hey Jen!! Your card is simply amazing. I love the colors, the girl image and your coloring. You did a fantastic job on this card. Wonderfully done. Thank you for joining us over at the DoubleClick Skittles Challenge. Oh this is so beautifully done! Love that background.